Many a times we all are stick in the same tandem of eating either a sandwich or a salad for the lunch meal… very boring, isn’t it? Well, we have the perfect solution to break the monotony of your packed lunch problems. 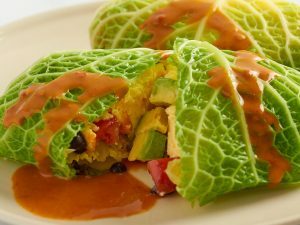 Try out this super duper healthy and equally delicious vegetarian burrito preparation that has some really healthy ingredients. This tortilla preparation also has some really amazing Mediterranean flavors to delight your taste buds. And guess what, we have not shared the best thing about this recipe yet… this recipe does not involve adding even a single drop of visible fat!! Also, you do not need to carry a separate dip, sauce or salsa to enjoy this burrito preparation. This sweet potato burrito enwraps the dip and salsa within it, leaving a less hassled lunch carrying experience for you. 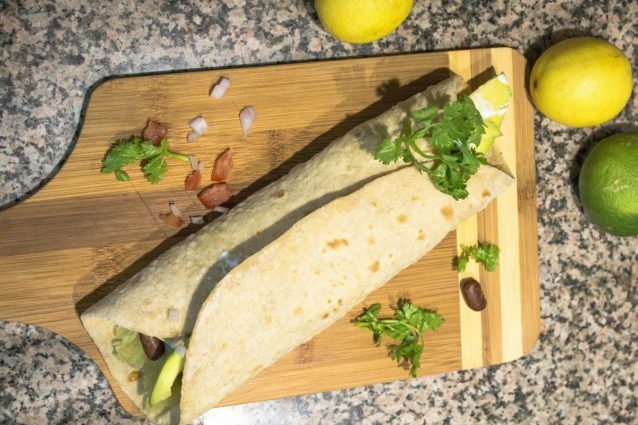 So, wait no more and get home all the basic ingredients of the sweet potato burrito today itself and show off your culinary skills to your office colleagues! Finely mash the boiled sweet potato. Put the mashed sweet potato over the tortilla at the center. Try to spread it from one end to the other. Place the boiled kidney beans randomly over the sweet potato mash. Put the onions and avocado slices evenly over the vegetable layer. Evenly spread chopped tomato and sour cream atop the avocados. Generously sprinkle cilantro leaves, lemon juice, salt and pepper over the vegetables. Now, carefully wrap the burrito and enjoy! You may easily store this burrito for the next 4 to 5 hours. Use fresh lemon juice to get the best flavors of the burrito vegetable mix. You may spice up your burrito by adding a few slices of green chilies as well. 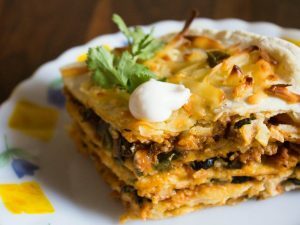 You may replace sour cream with thick plain Greek yogurt or mayonnaise as well. 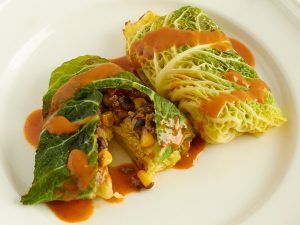 Cabbage pancakes: you'll only need two main ingredients!